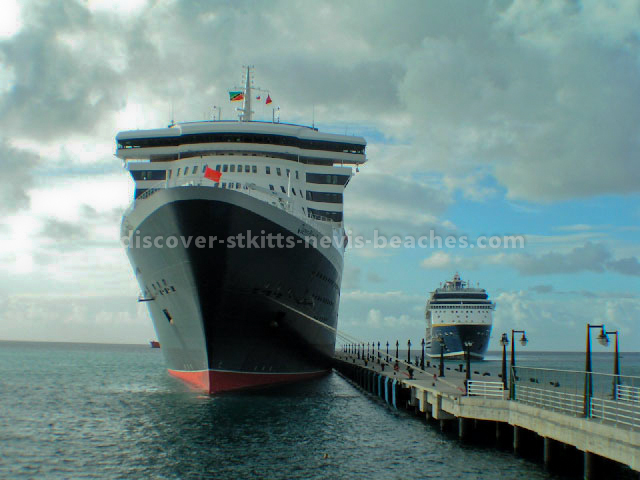 So what's the big deal about Queen Mary 2 (QM2) docking at Port Zante in St. Kitts? 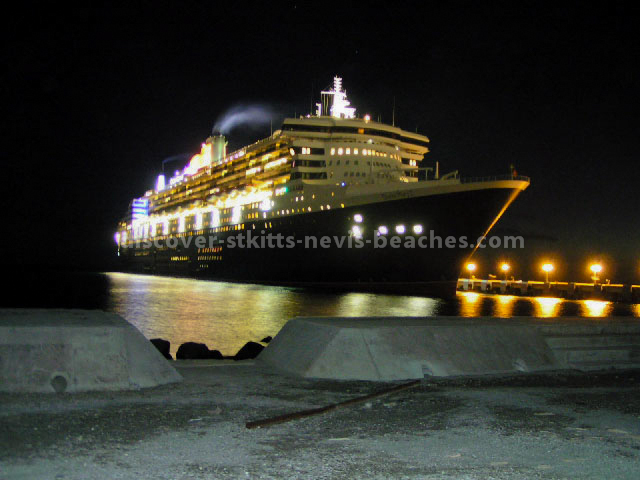 Well Port Zante is one of the two ports in the Caribbean (Barbados is the next port), where the QM2 can berth. 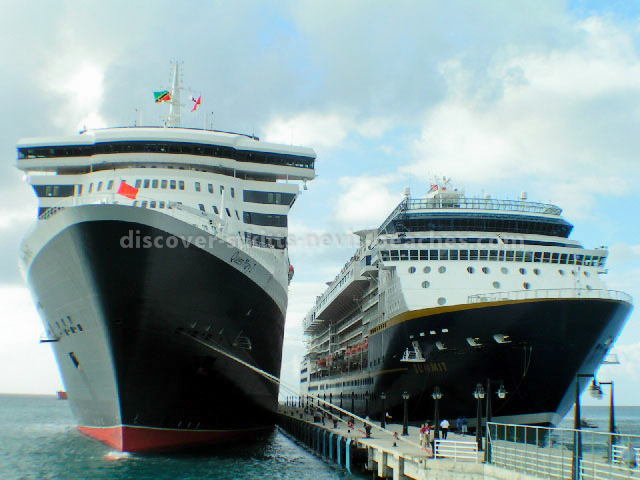 When you consider that QM2 cannot dock in San Juan, Puerto Rico, St. Thomas or St. Maarten, three of the more popular cruise ship ports in the Caribbean, it is clear to see why having the QM2 dock at Port Zante is a big thing. 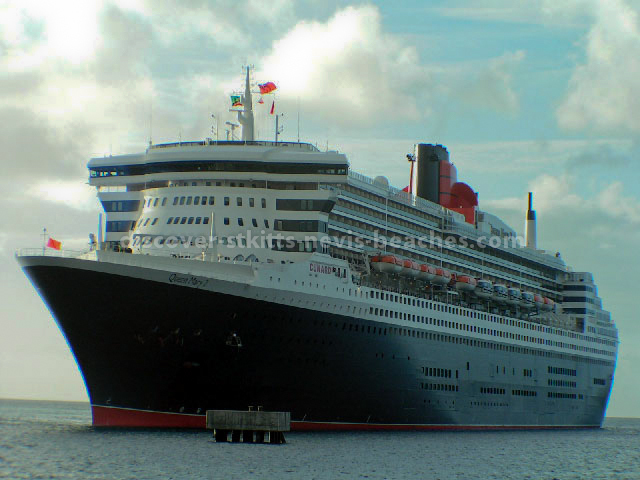 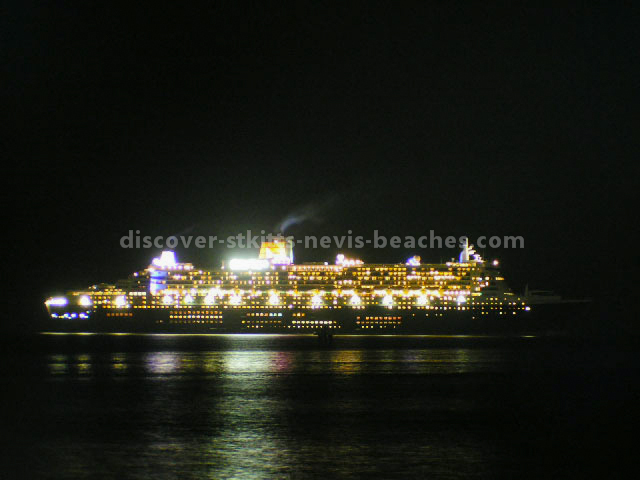 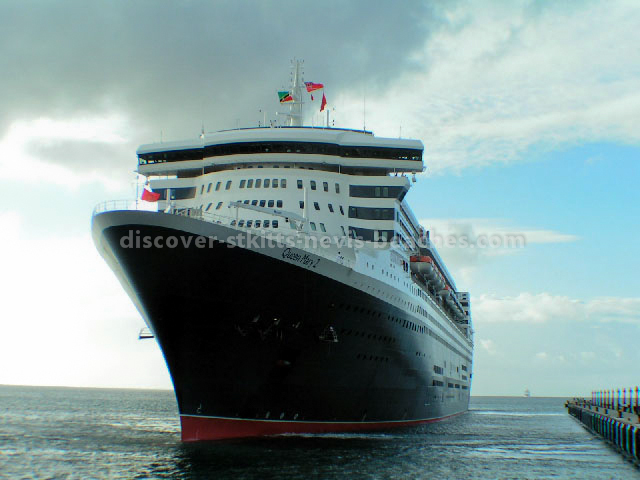 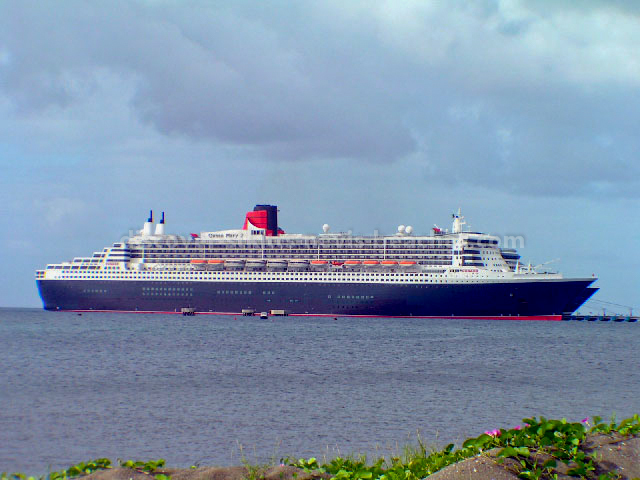 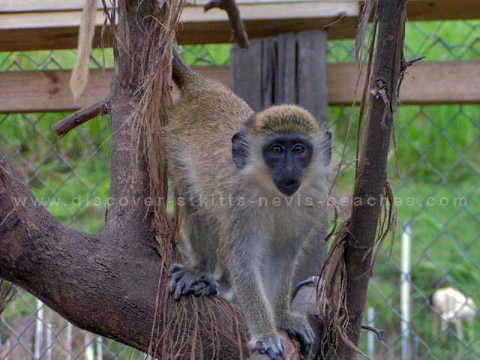 When QM2 visited St Kitts on her maiden voyage in February 2004, most persons were disappointed that it anchored out in the Basseterre roadstead instead of berthing alongside the pier. 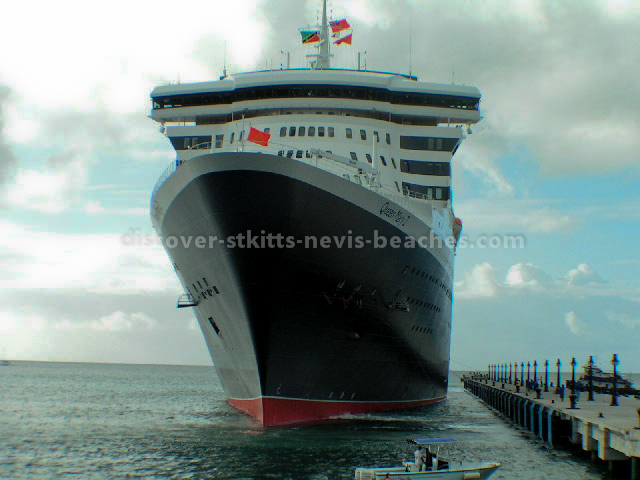 No such disappointment on its second visit to St Kitts though, as QM2 docked at the pier. 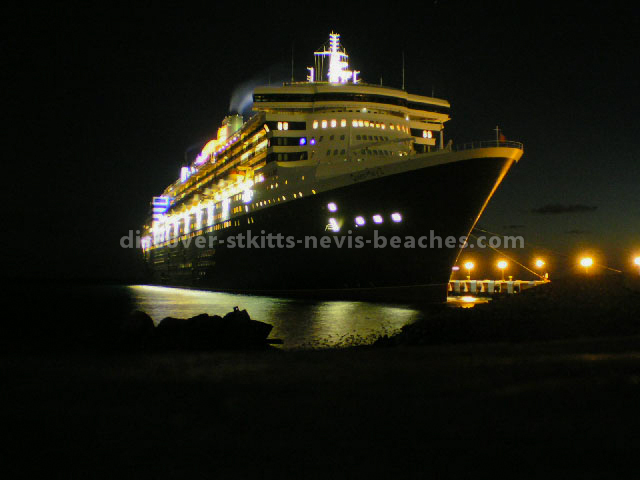 And many locals (myself included) were present at the pier for that historic moment when Cunard Lines QM2 pulled up to Port Zante. 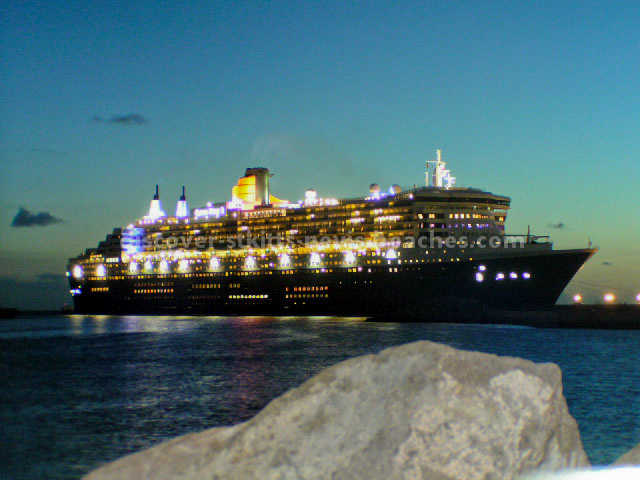 I was there to capture the moment with my digital camera, and below are some of the photos that I took of the QM2 that day.